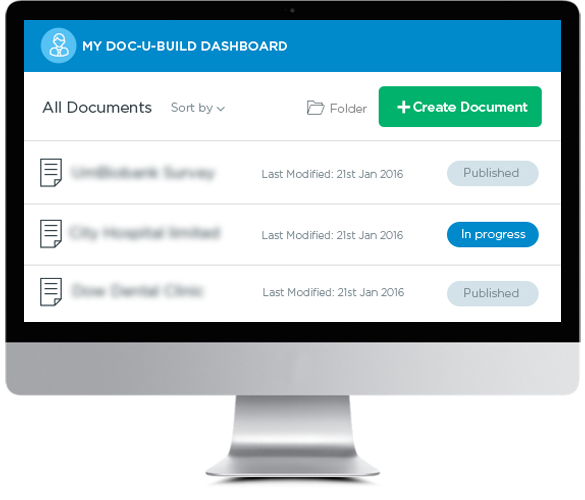 DocUBuild is a web application for creating and sharing documents that can be accessed electronically from Electronic Health Record (EHR) systems. The Electronic Medical Records and Genomics (eMERGE) Network is exploring the use of infobuttons as a decision support tool to provide context-specific links within EHR systems to relevant genomic medicine content. DocUBuild provides infrastructure to support sharing genomic medicine content in a way that is compliant with the HL7 infobutton standard. It can be used to create sharable genomic medicine documents that can be exported for use in your local EHR environment. 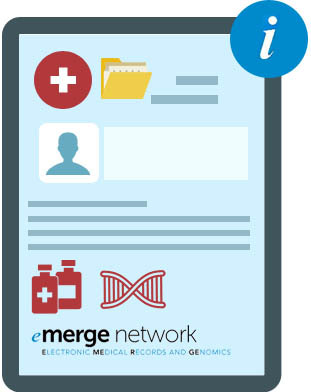 The eMERGE network is a national consortium funded by the National Human Genome Research Institute (NHGRI) to develop methods and best practices for using the electronic health record (EHR) for genomic medicine and research. © 2016-2019 Copyright Northwestern University and Johns Hopkins University, All rights reserved. This work as part of the eMERGE Network was initiated and funded by the NHGRI through the following grants: U01HG8657 (Group Health Cooperative/University of Washington); U01HG8685 (Brigham and Women’s Hospital); U01HG8672 (Vanderbilt University Medical Center); U01HG8666 (Cincinnati Children’s Hospital Medical Center); U01HG6379 (Mayo Clinic); U01HG8679 (Geisinger Clinic); U01HG8680 (Columbia University Health Sciences); U01HG8684 (Children’s Hospital of Philadelphia); U01HG8673 (Northwestern University); U01HG8701 (Vanderbilt University Medical Center serving as the Coordinating Center); U01HG8676 (Partners Healthcare/Broad Institute); and U01HG8664 (Baylor College of Medicine). This work is additionally supported by NCATS grant U01TR001806 and NCI grant UM1CA233035. The content is solely the responsibility of the developers and authors and does not necessarily represent the official views of the National Institutes of Health.